Paolos Haus ist ein sehr schönes altes Haus mitten in Wolkenstein. Die Zimmer sind liebevoll eingerichtet. Wir waren im Mai da, in der Nebensaison und genossen sehr die Ruhe. Paolo ist ein unkomplizierter, sehr netter Gastgeber und wir werden sicher wiederkommen! We came to ski. The house is just a 4 minute walk from the ski school and adjacent rental shop, as well as one of the main gondola lifts in the town of Selva. There is a ski pass shop and other "downtown" like shops also within a 5-7 minute walk. Really very convenient! Back to Selva and back to Paolo for the second time. We had a wonderful time and hope there will be a third time! Paolo was the perfect host. The house is ideally located in Selva within walking distance to everything needed and can easily host 8 or more people. The house has a large yard, which is a big plus with children, a fully-equipped kitchen and three bathrooms. It is beautifully decorated in an authentic rustic style. A great experience! Paolo persona fantastica. Molto disponibile. Alloggio eccezionale anche per la posizione. La casa comodissima anche per gruppi di più persone, molto calda e pulita. 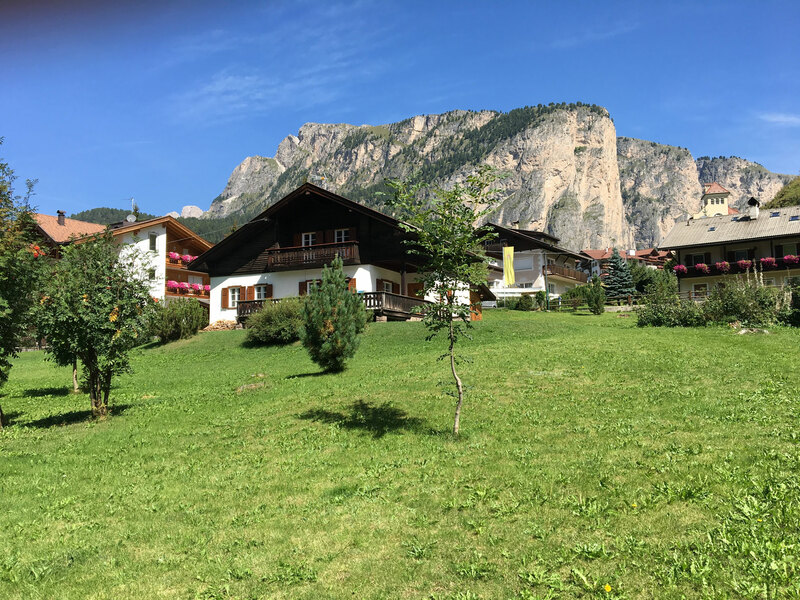 Paolo’s chalet is perfect for a large family holiday in Selva. It has both space inside and outside for kids to play safely within the boundaries of the property. 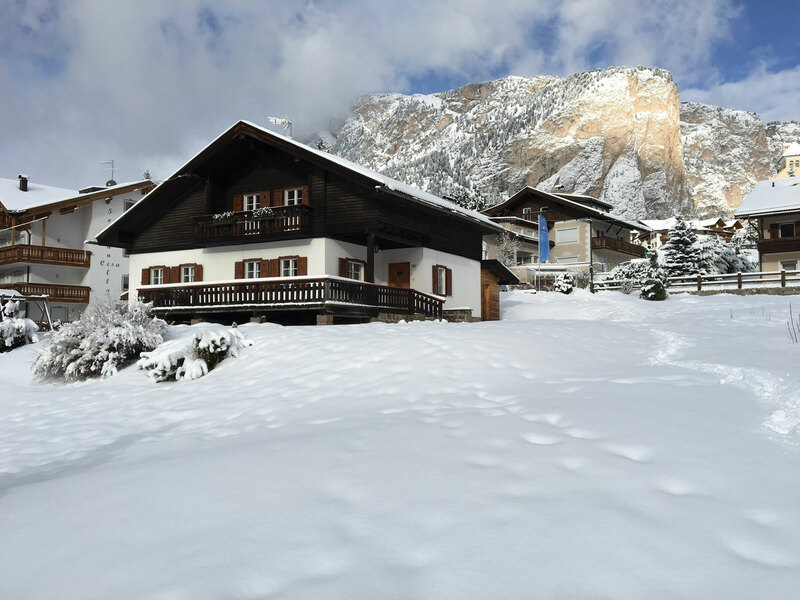 The house is warm, cosy and the wonderful signora Paola (living less than 100 yards from the chalet) is always available in case of needing anything. Shops, restaurants and slopes less than 3 minutes walk away. Hopefully we will be back soon for another week of great skiing.